Amazon Great Indian Festival sale is here to grab the best of your desire deals in Lowest price. Amazon Sale is going to start from 21 September to 24 September. Guys ! This is the perfect time to buy your favorite things that you want as Amazon India brings on their Festival Sale. 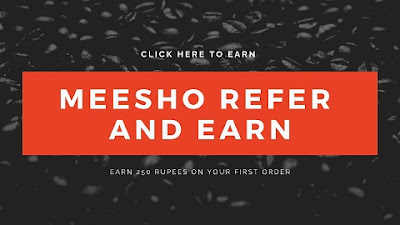 Amazon is giving you opportunity to steal maximum discounts on wide range of top brands like Xiaomi, Fastrack, Lenovo, Samsung etc. You can also shop for your fashion brands and can get exiting offers, discounts and deals. 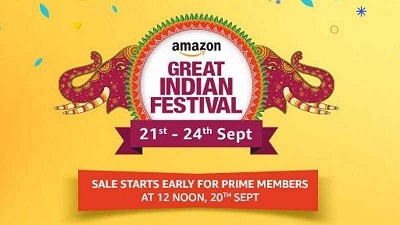 Shop Online at Amazon India on Great Indian Festival Sale From 21 September to 24 September. Previously, We have already seen such type of sales which have been a tremendous success for Amazon India. So they are going to conduct this sale again just before the Festival of Dussehra you can say so. It's early but will be profitable for all of us to get maximum discounts on Top range of Fashion and Electronic items. As they are specifying that you'll get up to 40% discounts on newly launched Smartphones, Up to 60% on Top Fashion Brands. How To Avail Amazon Great Indian Festival Sale ? Open Amazon app on your Smartphone or Visit Amazon India Page. Sign up/Sign in to Proceed to Checkout. Choose your payment options and do your payment. Done ! You have grabbed your deals. If you have Prime member account on Amazon then you can grab best deals early before the given date of Sale. For Prime Member some great offers and deals will be available early on 20 September at 12 Noon. Additional discount will be entertained if you'll pay via Amazon Pay Balance on Amazon.